Diesel-powered vehicles are an important component to America’s commerce industry. 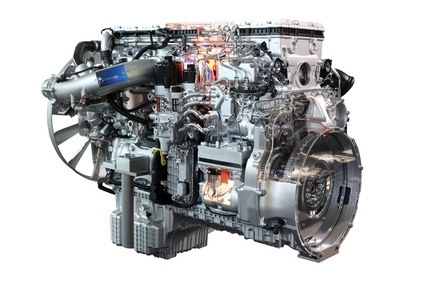 Because of the fuel economy and durability of these engines, diesel engines replace gasoline-powered engines on buses, trucks, trains, and private vehicles. Because of how vital these engines are to commercial applications, companies in Oregon are in great need of professionally trained diesel mechanics who have earned a certification or degree in this career, providing them with various employment opportunities. Individuals who wish to become a professional diesel mechanic in Oregon need to first complete the required prerequisites before enrolling in a diesel technology program. Most colleges in Oregon require students to have earned their high school diploma or a GED, and some only accept candidates who have taken four years of English, two years of science, and two years of math. Oregon companies that specialize in diesel-powered vehicles and utilities prefer hiring diesel mechanics who have already earned their certification or a degree in diesel technology. Depending on the company, individuals can earn their diesel technology certificate by attending courses offered by the employer. For those who wish to earn their associate or bachelor’s degree in diesel technology, attending an accredited program at a vocational, technical, or community college will prepare them for work in this industry. Earning an Associate of Science in Diesel Technology takes a minimum of two years to complete, while the Bachelor of Science in Diesel Technology requires four years of schooling. Aspiring diesel mechanics need to make sure the school is accredited through the National Automotive Technicians Education Foundation (NATEF), which will prepare them for their diesel technology certification. Associate degree programs teach students the techniques and skills needed to successfully maintain diesel-powered vehicles, providing the necessary hands-on experience to diagnose mechanical issues and develop repair procedures. Aspiring diesel mechanics who wish to further their education and enter into a management role at an upstanding company can enroll in a bachelor’s degree program. Earning a bachelor’s degree in diesel technology requires students to learn the core fundamentals in diesel repair techniques and methodologies. Students will need to complete a variety of coursework, including subjects in humanities, natural sciences, and mathematics. Even though Oregon does not require individuals to earn their certification in order to work legally, most employers prefer to hire diesel mechanics that are specially certified in diesel technology, which shows the mechanic upholds the national standards in diesel technology. Diesel mechanics can earn their certification in a specialized sector of this industry by taking an exam through the National Institute for Automotive Service Excellence (ASE), certifying individuals in steering systems, brakes, preventative maintenance, or electrical systems. Diesel mechanics who have earned their certification in diesel technology will increase their chances of obtaining a higher paid position at a company in Oregon. According to the Bureau of Labor Statistics (BLS), about 3,300 diesel mechanics are employed in Oregon, allowing them to earn a mean salary of $44,040 annually. The BLS reports that employment in this industry is expected to grow by 15 percent between 2010 and 2020, providing 35,200 more jobs for potential candidates. Diesel mechanics can work in a variety of settings, depending on the location and available position. On-site Diesel Mechanics: Most on-site diesel mechanics work for companies that have diesel-powered generators or engines, ensuring the engines work properly in the event of a power failure. Local Garages: Some diesel mechanics who work in local garages repair private cargo and passenger vehicles, while others perform evaluations of diesel-powered vehicles to make sure the vehicles meet emission control standards. Commercial Fleet Mechanics: Diesel mechanics who are employed by commercial cargo companies work on truck fleet maintenance, requiring them to effectively repair the diesel-powered engines. Whether the available position is at a train depot or in a local garage, diesel mechanics are vital to the commerce industry, opening various employment opportunities throughout the nation. Those who wish to find a higher paying position at an upstanding company in Oregon need to enroll in an accredited diesel technology program.